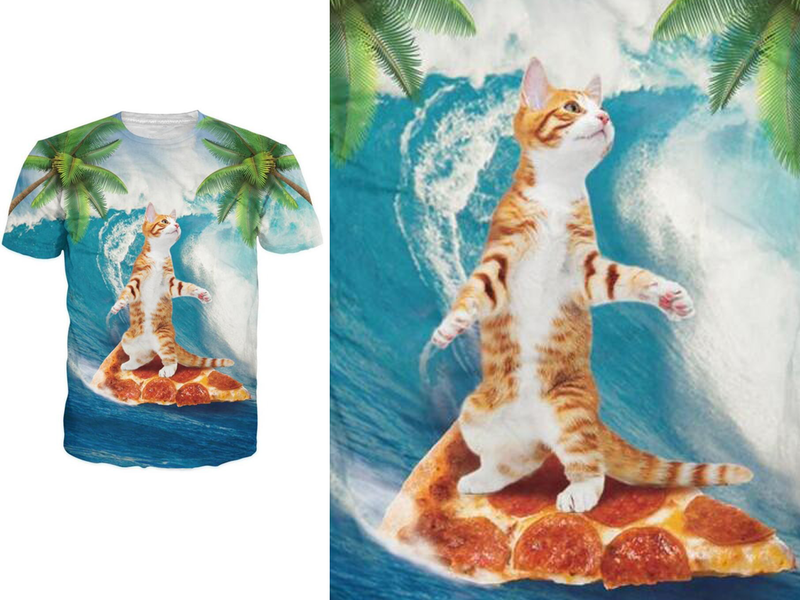 This cat surfing on pizza shirt is pretty unique and fabulous. You will love it if you like to wear eye catching clothing because it is sure to attract attention. 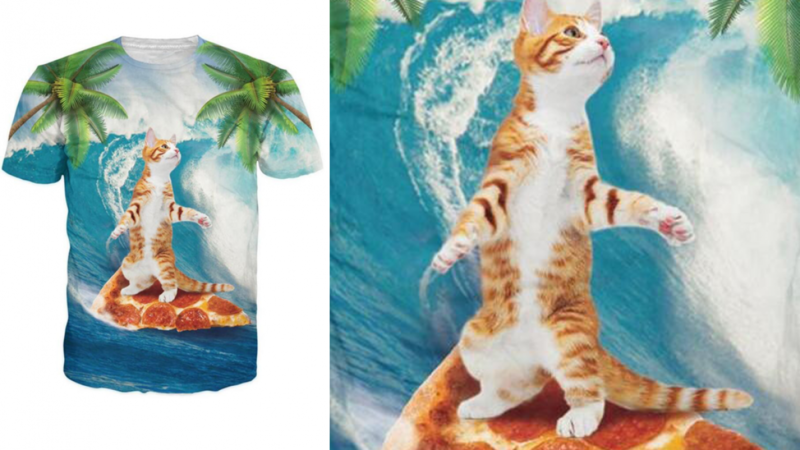 The cat featured is surfing in the ocean on a slice of pizza. Anyone who enjoys cool or fun shirts will appreciate this shirt as a gift. If you have a loved one that adores cats, animals in general or funny cat videos this will be a great choice for them. You will find that the print on this shirt is durable because a special sublimation printing technique has been used. This is a wearable piece of art so you can express your creative side. You can be sure to get a shirt that fits great because it is available in nine different sizes. This shirt is a fabulous idea if you are looking for something to wear at the beach. You can also wear it as a casual everyday shirt or pack it for a summer holiday. Jeans go with it very well because the shirt is so busy it is best to team it with something plain. You will find it also looks good with a plain colored pair of shorts for the beach or when it is warm. This is a unisex shirt so it can be worn by anyone at all.